Shirley E. Holtgrewe, nee Sommers, 85, of Belleville, IL, born July 26, 1933, in Okawville, IL, died Sunday, November 4, 2018, at Memorial Hospital, Belleville, IL. 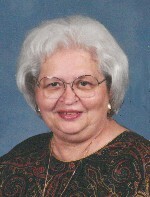 Shirley was a member of St. Henry Catholic Church in Belleville, IL, and also a member of the American Legion Auxiliary. She loved sewing, making quilts, and playing cards. Shirley was a loving wife, mother, grandmother, and great-grandmother who will be dearly missed. She was preceded in death by her husband of nearly 50 years, Kermit F. Holtgrewe, whom she married on October 2, 1954, and who died on July 1, 2004; a son, James Holtgrewe; her parents, Alvis and Alma, nee Lintker, Sommers; a sister, Lucy Ann Bailey; a brother, Raymond (Irma) Sommers; and a brother-in-law, Gary Shaw. Memorials may be made to St. Henry Catholic Church, Belleville, IL. Condolences may be expressed to the family online at www.rennerfh.com. Visitation: Friends may visit with the family from 4 to 8 p.m. Thursday, November 8, 2018, at George Renner & Sons Funeral Home, Belleville, IL, and from 9 to 10 a.m. Friday, November 9, 2018, at St. Henry Catholic Church. Funeral: A Mass of Christian Burial will be held at 10 a.m. Friday, November 9, 2018, at St. Henry Catholic Church, Belleville, IL, with Reverend Kenneth York officiating. Burial will be at Lake View Memorial Gardens, Fairview Heights, IL. Shirley was an amazing woman. She will be missed.